Most frame builders are craftsmen above all else. We all love working with our hands and building frames as perfect as humanly possible. It takes many years and many frames to build proficiently—and even longer to build at the quality level that the current group of masters does. But frame building is only part of the equation. 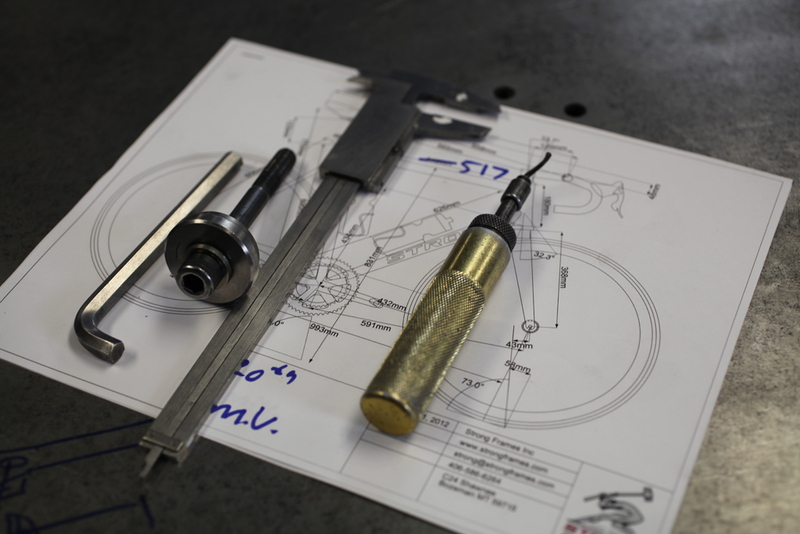 Your bicycle frame starts with you, the customer. It isn’t some inanimate object that’s built in the corner of a shop somewhere. Your frame is an extension of your personality, priorities, and goals. The true art of frame building lies in the builder’s ability to divine from you exactly what you want and what you don’t even know you want, what you need and what you don’t know you need. What separates us from most of our competitors is not the fact that we’ve built thousands of frames or that our frames are straighter and have prettier welds. What separates our work from our competitors is the process we’ve developed over the last 20 years. The process of learning, understanding, and quantifying your goals and priorities to convert them to the frame design we’ll ultimately build for you. When you order a frame from us, most of the work will be done before we even go into the shop. Don’t get me wrong, we spend as much time and effort toiling over every frame as everyone else, but it’s the design process that sets us apart. After all, one can make the straightest, prettiest, cleanest, shiniest frame on the planet, but if it isn’t what you want or need, if it doesn’t fit, ride, or handle the way you expected, it doesn’t matter how well it was crafted. For a more detailed description of our design process, please see our Order and Design Process.